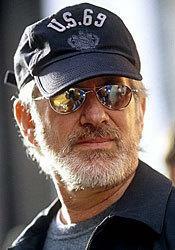 With many of his early blockbusters distributed by Universal Pictures ('E.T.,' 'Jurassic Park' and 'Jaws,' among them), it was once assumed that the combination of Steven Spielberg's classic titles and Universal's exclusive HD DVD support would be one of format's biggest weapons against rival Blu-ray, but a series of developments have led many to speculate that perhaps Spielberg himself has other ideas. The first hint of trouble for HD DVD came back in February when the HD DVD promo group issued a public apology to Spielberg after listing several of his titles in a "Coming Soon" list that was apparently never approved by the director. Finally, yesterday's stunner of a Paramount/DreamWorks HD DVD exclusivity press release included a conspicuous one line carve-out, stating that Spielberg's DreamWorks films would be exempt from the terms of the HD DVD exclusivity arrangement, opening the door to the possible future release of more recent Spielberg blockbusters on Blu-ray. So what's the deal? We put that question to the source for all things Spielberg -- his longtime spokesman and DreamWorks marketing exec Marvin Levy. Speaking exclusively with High-Def Digest, Levy confirmed Spielberg's active support of Blu-ray with the selection of 'Close Encounters' for his next-gen debut. "It was important to Steven that if any of his films were to be released [first] on high-definition, that it would be a classic," said Levy. "Steven is big supporter of Blu-ray, and chose 'Close Encounters' to be the first of his films on either format." Spielberg approved the new high-def transfer made for the film, and among the Blu-ray's supplements is a new introduction recorded by the director specifically for the release, as well as a storyboard comparison. Levy further clarified the Paramount/DreamWorks press release, saying that "...his movies, like 'Saving Private Ryan' and 'War of the Worlds,' are not included in that deal. They are not exclusive to HD DVD, nor [are they] planned for that format at this time.'" Levy went on emphasize that beyond 'Close Encounters,' Spielberg has no other films in the high-def pipeline on either format. "At this moment, there are no plans for something further [on either format]. Anything in the future will be decided on a title-by-title basis. There certainly won't be more titles in 2007."